The most effective (and quickest) way to present your product(s), services, or course to the community is to sponsor the (cost to rent) community room and offer the course to the community for free. The basic hourly rate is $25/hour and you can reserve the Community Room any time it is available. 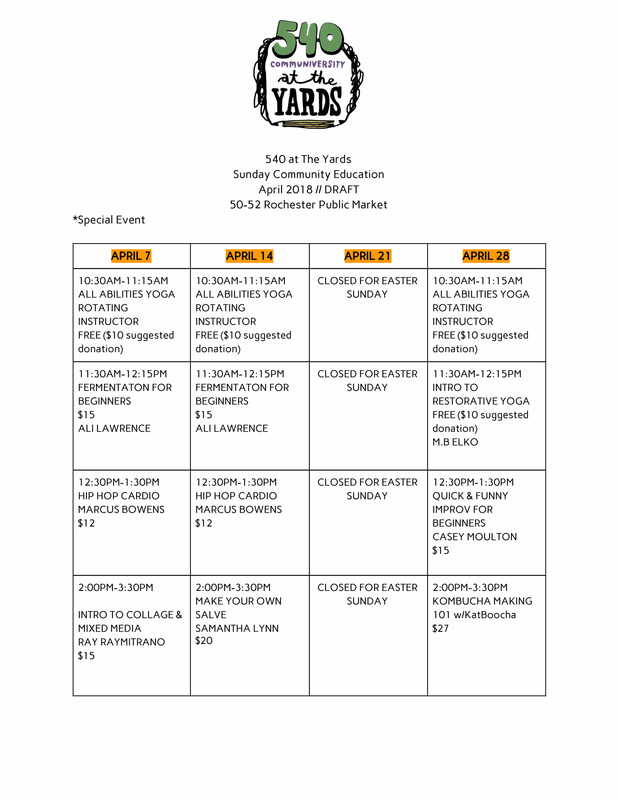 All new course and program proposals will be added to our Class/Course Waitlist. Submit your proposal by clicking the link below. Our Community Organizer (Jake Sell Hicks) will add your proposal to the waitlist and contact you personally if an opening for a new course becomes available. The best course proposals are for single session courses and should range between $10-$20 per student with minimal cost to student attendees. 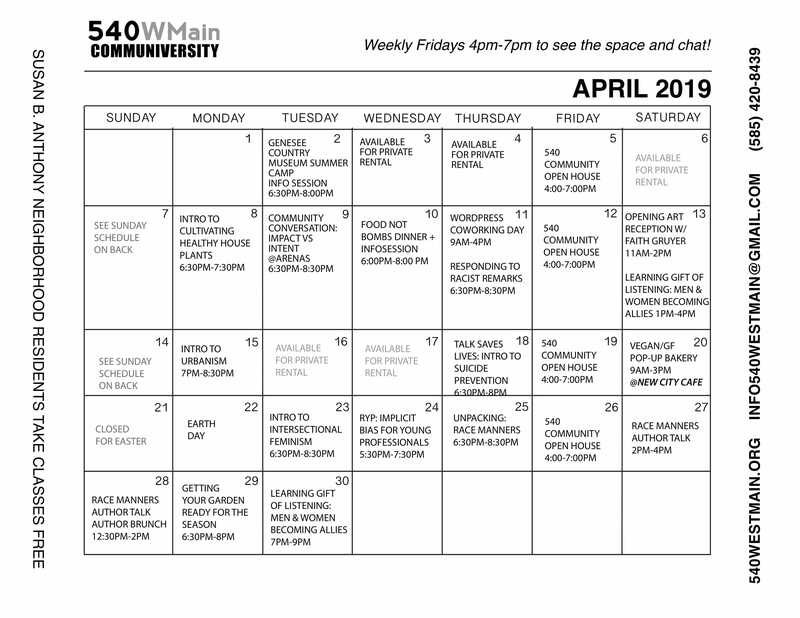 Courses that are well received by the community have a chance to be added to 540WMain’s standard lineup of monthly classes (there is no guarantee). Maximum number of students for any course is 20. Your proposal should include a brief paragraph bio about the educator written in third person, cost of course to community, materials needed and provided by instructor and those needed by students, max number of students, ideal day of the week and time frame of the class/course. Maximum time frame for a course is two hours.